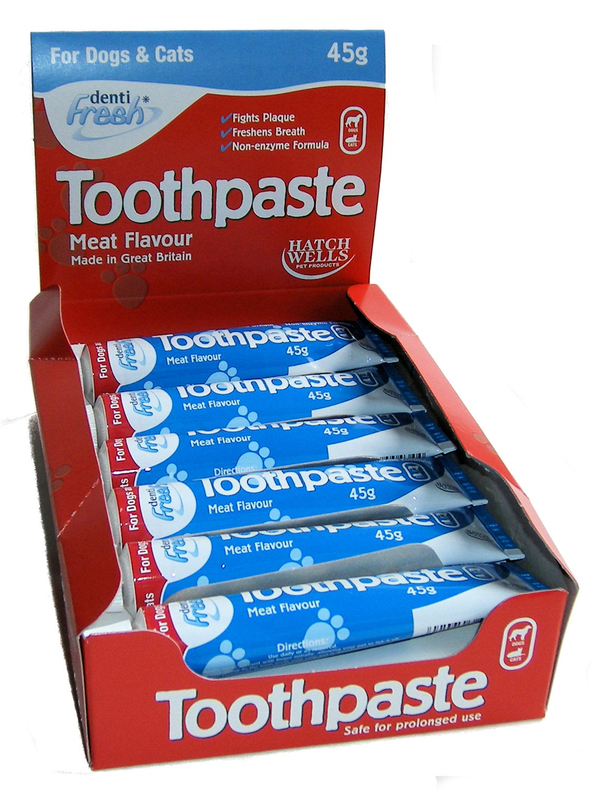 Hatch Wells Denti Fresh Meat Flavour Toothpaste is a non-enzyme formula which discourages plaque build up and freshens breath. Suitable for cats and dogs. Water, Glycerin, Calcium Carbonate, Dicalcium Phosphate, Sodium Lauryl Sulphate, Colloidal Silica, Liquid Paraffin, Sodium Carboxymethylcellulose, Beef Flavour, Nipastat. Use daily or as required. Apply small amount to finger and allow your pet to lick it off. Thereafter apply to the front teeth until your pet is accustomed to the routine, then use a finger brush or toothbrush to clean the teeth. Avoid excess flexing of the tube, as this causes splitting. Squeeze from base of tube. 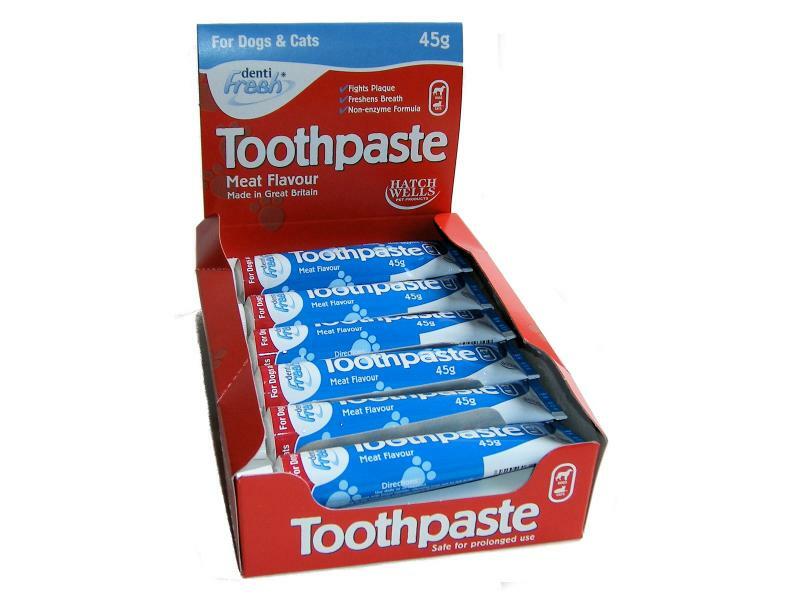 There are currently no questions for Hatch Wells Denti Fresh Meat Flavour Toothpaste for Dogs & Cats - be the first to ask one!